Our dynamic and top producing real estate firm is looking for an experienced Transaction Coordinator for our busy Kissimmee location. Licensee preferred. Minimum 2 yrs industry experience preferred. Must have knowledge & understanding of Florida R.E. Purchase and Sale Contracts and addenda, proficiency in Microsoft Office and overall navigation of the internet, time management skills and positive & friendly attitude. Real Estate License or Title experience preferred, Employee must be energetic, able to multi-task under pressure, and possess excellent customer service skills in person and over the phone. This position requires employee to handle all real estate transaction contracts for processing, manage contract contingency schedules, set up appointments, experienced in Microsoft Office, Excel and Outlook and complete knowledge and understanding of Real Estate Purchase Contracts and Addenda. This position also requires excellent written and oral communication skills. 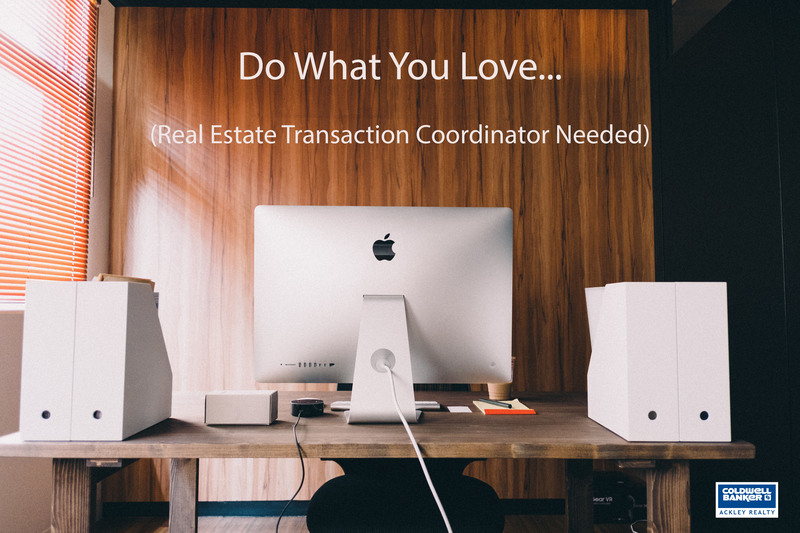 A dynamic and top producing real estate team is looking for an experienced Transaction Coordinator for our busy Downtown Kissimmee location. Summary: The Transaction Coordinator will manage the selling files from initial setup through closing. This will include traditional sales, REO Sales, short sales and other niche transactions. Communicate with all need-to-know parties, such as, other agents, title and escrow companies, buyers, etc. General clerical duties- faxing, copying, filing, etc. Proficient in Microsoft Office, including: Outlook, Word, Excel, PowerPoint, etc.